Once upon a time I had a dream that I went to Whole Foods and spent under $100.00. Bad news is that still remains a dream. Good news is I left with the ingredients that made the BEST PIZZA EVER! Anyway, this pizza. OMG. 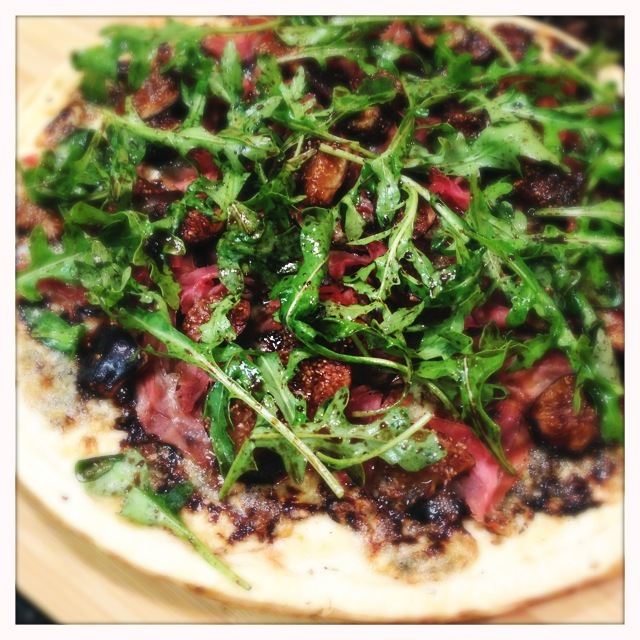 The nuttiness of the arugula with the bitterness of the gorgonzola with the smokiness of the prosciutto that resembles a crispy slice of bacon perfectly paired with the mild sweetness of the fig and on top of it all?! 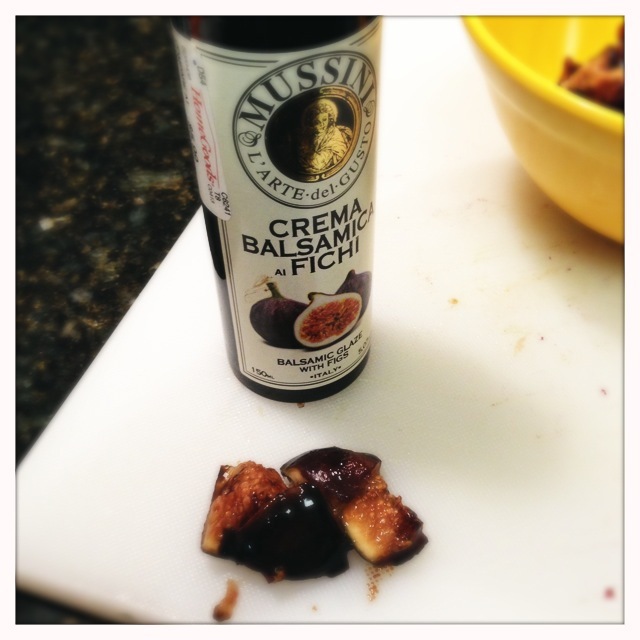 The sweetness of the balsamic glaze that brings all of the flavors together perfectly. It’s honestly one of the best combinations of flavors I’ve ever had in one bite. Have you ever watched Food Network and pictured yourself competing on one of the shows? Well I always do and I picture If I ever had to make an amuse bouche to win a competition this would be it. This would be the one bite that would win me $10,000 on Chopped. Or the bite that would make me the Next Food Network Star. Or at least one step closer to meeting Michael Symon. What? He’s a famous chef AND he has tattoos! What more could you ask for? Anyway…on with the recipe for the best homemade pizza. Ever.